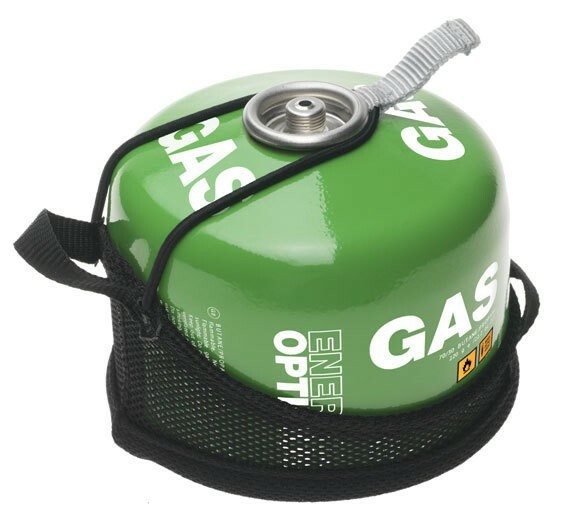 The gas stove Optimus Crux developing 3000 W to bring 1 liter of water in 3 minutes. 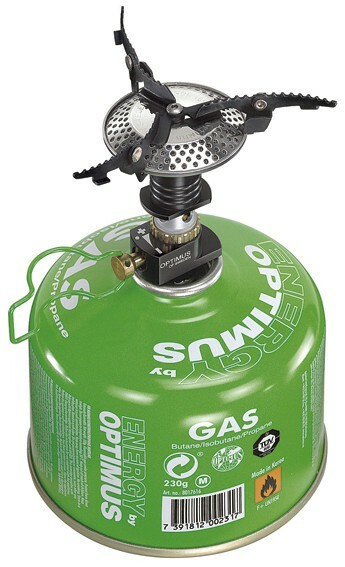 This stove is light and compact: the burner head is removable. 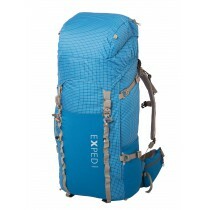 The Crux fits into an elastic protective cover. 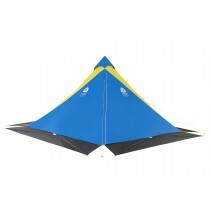 The Crux has collapsible legs. 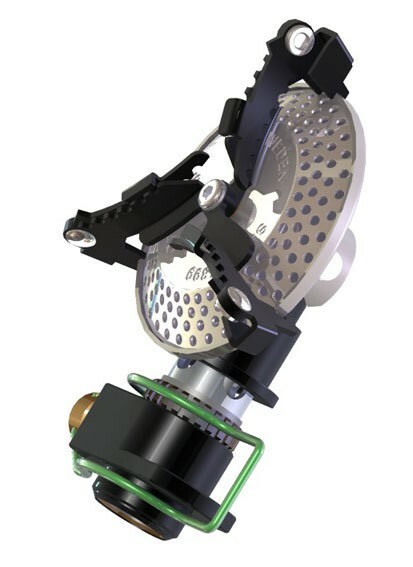 The control valve allows fine tuning of the power and flame. ~ 3 min/1 l water, depending on climate, altitude etc.